The normal onset date over Kerala, termed as the official arrival of the seasonal rainfall in India, is June 1. New Delhi: The Southwest Monsoon has covered the Nicobar Islands and the entire south Andaman Sea, three days ahead of its normal onset date, the India Meteorological Department or IMD said today. "In view of the strengthening and deepening of southwesterly winds, persistent cloudiness and rainfall, southwest monsoon has advanced into some parts of southeast Bay of Bengal, Nicobar Islands, entire south Andaman Sea and parts of north Andaman Sea today," the India Meteorological Department said. Meteorological department director General K G Ramesh, however, said it was too early to forecast whether the monsoon would hit the Kerala coast ahead of schedule. The normal onset date over Kerala, termed as the official arrival of the seasonal rainfall in India, is June 1. Mr Ramesh said the prevailing conditions do not suggest that monsoon could hit Kerala early simply because it has arrived early in the Andaman and Nicobar Islands. The normal onset date for Southwest Monsoon over the Andaman and Nicobar Islands is May 17. 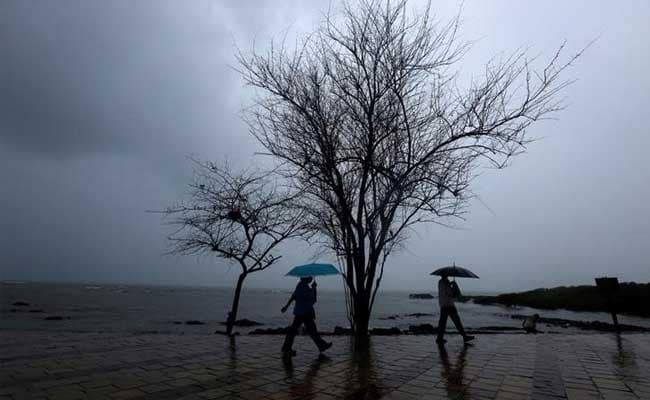 Mahesh Palawat, Chief Meteorologist with the Skymet, a private weather forecasting agency, said monsoon is likely to hit Kerala on June 1 with an error of one-two days. "Conditions are favourable for further advance of southwest monsoon into some parts of southwest Bay of Bengal, some more parts of southeast Bay of Bengal, remaining parts of Andaman Sea, Andaman and Nicobar Islands and some parts of east-central Bay of Bengal during the next 72 hours," the India Meteorological Department said.